I bought a few small items here and there. A koozie, a mini wallet key fob, a tumbler, a mug, and I even had my cooler custom-made with with prints and quotes. I also graduated in style by having my grad cap decorated in Lilly and wearing LP dresses for my graduations, but I have never actually bought anything from their website. Mainly because their clothes are too dang expensive! Now that I am officially a working woman (thank you jesus! ), I feel like every once in a while I can splurge on the things I want. 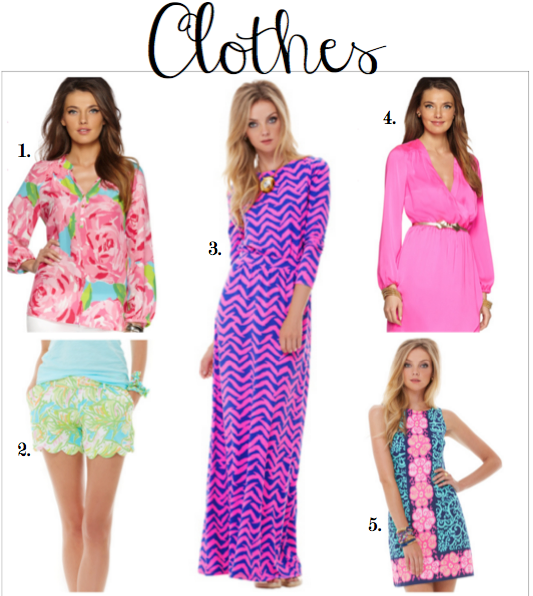 These items from Lilly Pulitzer are ones I'm obsessing over and would love to have in my wardrobe. LORD DO I LOVE THEIR ELSA TOPS! This Elsa top in the print First Impression is literally the love of my life. Because it was the Elsa of the Month for February, I was terrified I wouldn't be able to get my hands on it. If it's still in stock in my size by the time I get my first paycheck, IT'S MINE! Obviously all of these things I want are not necessary, but they would be nice to have. I think the Buttercup Scallop Hem Shorts would be a great piece to have in my wardrobe. Spring is here and summer will eventually be approaching. I can't wear these to work, but I think they would be a good staple for the weekends. It's a gorgeous print. I can pair it with a white shirt and be casual, but cute because of the print on the shorts. What can I saw about the Nigella Boatneck Maxi Dress? Well, it's definitely dramatic, but I'm dramatic so it's perfect! I really don't know when I could really wear this. Maybe for a date or day out? Who knows. I just honestly think it's a very pretty maxi dress and since I only have one maxi dress, why not add another one to my collection? Originally I wanted the Whitaker Wrap Dress for work. Now I realize wearing a dress to work is not as practical as I thought. Sure, I can still wear it, but sometimes I have to bend and pick up boxes. It's a lot easier to just wear dress pants and a nice top. I'd mainly wear this for a day or night out. I think this is the next Lilly purchase I will be making because I think it would be a perfect dress to wear for upcoming graduations. The Delia Shift Dress is to die for! I mean look at it. It's simply gorgeous. I really don't have a place to wear it to. Maybe buy it as a birthday dress? Although I want it, it may be a little impractical. I found this print in the Iona Shell and I think it would fit my needs better. I can wear it on a night out or I can wear it to work, just like the Elsa. I have been needing a new wallet since the beginning of time. I have been using a mix between my Lilly Pulitzer mini wallet key chain fob that's falling apart and a faux leather cream wallet I got from Ebay a while ago. Don't get me wrong, I loved my wallet from Ebay, but the quality is poor. I want to invest in a nice wallet that I will have for a long time! I was looking at the Tory Burch wallets, but I really don't want to spend too much. Words cannot express how happy I was when I got my first Lilly Pulitzer purchase in the mail. I don't mean that in a materialistic way, but it was my first purchase I made with my first big girl paycheck. I think being able to buy things that I want with my own money is so rewarding. I will probably always associate my new Elsa with my first paycheck at my first big girl job. Are you a fan of Lilly Pulitzer? That maxi dress is everything!! Found you through Lovely Thursday Linkup! I agree!! I just love the print on it!! :) Thanks so much for visiting! I don't know much about Lilly Pullizer but I love scalloped shorts and those gold accessories!!! Thanks for linking up with Lovely Thursdays! I love scalloped shorts, as well. They are so flattering on! 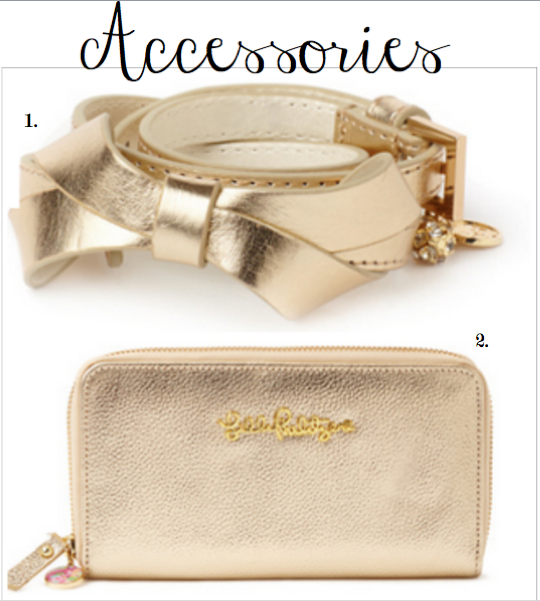 And I love me some gold accessories too! They are my favorite kind to wear. :) Thanks for hosting the link up. I will be back this Thursday for sure! I love number 5! That dress is so pretty! Where, you can root sites.google.com/ your Android phone or tablet About Baidu Root without using PCor laptop. Baidu Root Free Download : Android Smartphone, PC & iPhone It is free, risk-free as well as hundred Baidu Root percent functioning application for Android individuals for Baidu Root APK rooting their Android Smartphone. Kodi app is the most effective Kodi Download App open source enjoyment app which allows users Refer to access totally free flicks as well as TV Kodi shows with the internet. Hi there! I'm Ashley. I'm a Houston native that has a passion for fashion, makeup, food and fun. I'm a late 20-something still trying to figure out how to adult and would love if you stayed a while and follow me on my journey!